Early last week, NGOs including Elephant Family released a report discussing the soaring illegal ivory trade in China. According to the report, Chinese demand for ivory has increased dramatically over the past few years due to the country’s recent economic boom. The report states that the number of ivory items on sale in China has doubled since 2004, and that approximately 90% of all ivory sold in the country has been obtained illegally. The report, which has received significant attention in the news, has prompted ivory researchers to beseech the Chinese government to tighten enforcement of ivory regulations. In other news, The Republic of Congo is also attempting to battle the ever-growing ivory trade in China. On August 10th, authorities in the country sentenced a Chinese ivory trafficker (who attempted to board a plane with 5 elephant tusks) to 4 years in prison. From a lay perspective, 4 years seems a minimal punishment, but it is the harshest sentence The Republic has thus far imposed for such a crime. And finally, on August 17th, the Convention on International Trade in Endangered Species of Wild Fauna and Flora (commonly known as CITES) met with the intention of discussing broad-based elephant issues including conservation and the illegal ivory trade. At the conclusion of the meeting, it was announced that CITES intended to launch a trust fund to protect African Elephants. According to John E. Scanlon, Secretary-General of CITES: “The target is to raise $100 million over the next three years to enhance law enforcement capacity and secure the long-term survival of African elephant populations.” As things stand, several countries have already contributed to the fund. Overall, it seems there is some progress is combating the massive illegal ivory trade. 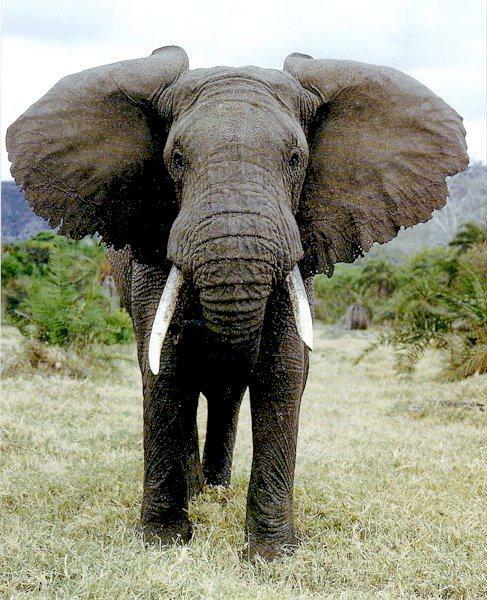 At least for the African Elephant. The Asian Elephant, it seems, will be considered another day.